Napalm Death and the Melvins are teaming up for the Savage Imperial Death March Tour, a six-week tour that will see the bands’ playing shows in cities around the United States and Canada. Everything kicks off on March 26, 2016, at The Marquee in Phoenix, Arizona. “We have been talking about doing a tour like this for a long time so we are thrilled it’s finally happening,” Napalm Death bass player Shane Embury said in a press release. Members of the Melvins and Napalm Death have worked together before, according to a press release about the upcoming Savage Imperial Death March Tour. Specifically, Buzz Osborne, Shane Embury, and Danny Herrera played together in Venomous Contempt, a group that put out their debut album – Retroactive Abortion – on Ipecac Recordings in 2004. 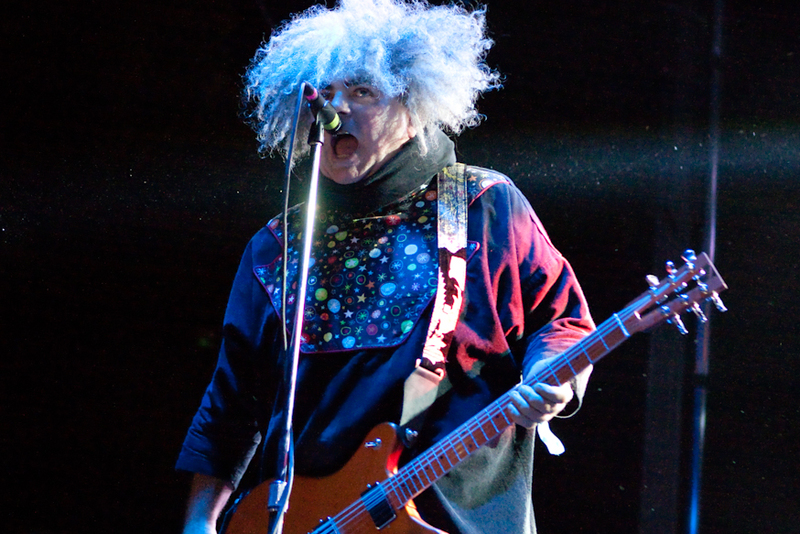 The Melvins recently released a film about their 2012 tour. Before making Across The USA in 51 Days: The Movie!, the band knew they wanted to do something to push the envelope. So, they set out to tour the United States – including Alaska, Hawaii, and Washington, D.C. – in 51 days, and filmed it for posterity. The film was released on Friday Nov. 27th, and is available to watch on Amazon.com. For their part, Napalm Death put out a music video for “How The Years Condemn,” in September 2015. And, earlier in 2015, the band released their 15th-studio-album, Apex Predator – Easy Meat, via Century Media Records. Additionally, American and Canadian audiences will get an opportunity to see Japanese noise rock group Melt Banana. Formed in 1991, this Tokyo-based band carved out a cult-like following in the U.S. and U.K., according to Songkick.com. Their two most recent releases are the 2013 album, Fetch, and Return of 13 Hedgehogs, which is an anthological compilation that was released in 2015. Check out a complete list of dates, cities, and venues, below. And, tickets are on-sale, now.